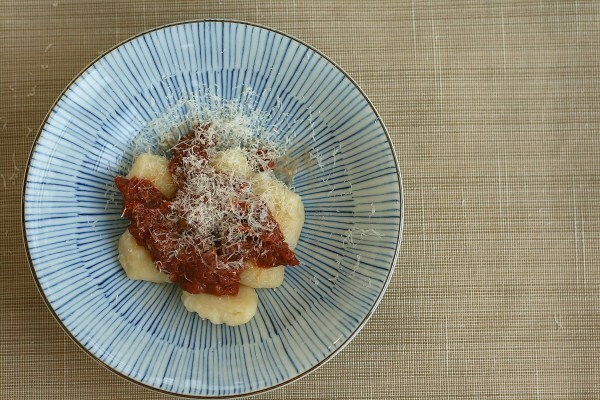 My customers have had varied success with the gnocchi recipe in their Thermomix. This post is to give some hints and tips, as well as my variation on the recipe (of course). The base of my technique is from Page 90 of the Everyday Cookbook.A lot of the success of gnocchi comes down to the type of potatoes you use. Gnocchi must be made with floury potatoes, such as Pontiac or desire (look for the red/purple skin). They say the older the better, within reason. Recently, I found a recipe that cooked the potatoes in the oven or microwave, rather than boiling them. This keeps the flesh a lot dryer. 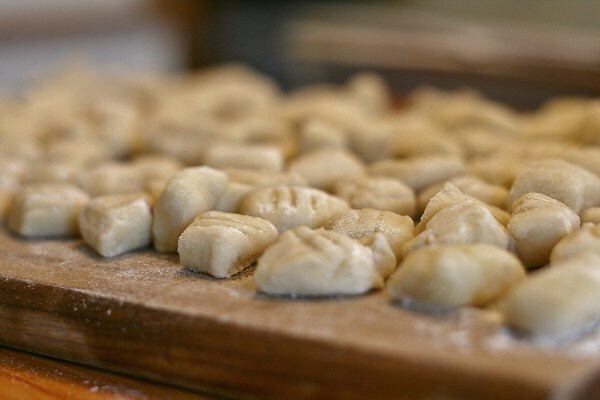 Now that we have tried it a few times, I won’t make gnocchi any other way. 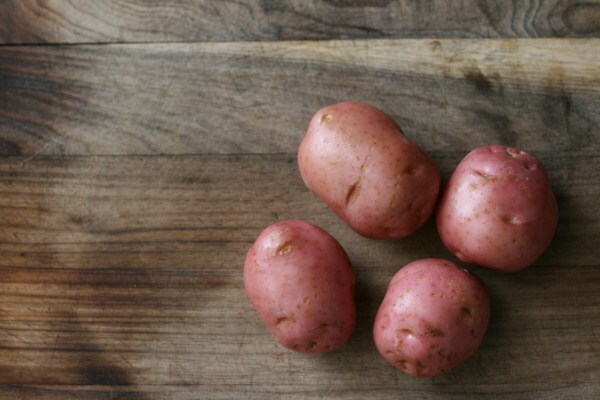 Simply scrub and prick the potatoes and cook through, either in the oven at 200′ or in the microwave. Then peel them and then follow the recipe from the second paragraph down. Served with my homemade pasta sauce, it’s are a sure winner in our house. My kids love being involved, peeling the potatoes and shaping the gnocchi and they will often do this dinner for a Sunday evening, when we have got time to play in the kitchen. « Have You Tried the Carrot Cake…. Hi, your recipe says 'then follow the recipe from the second paragraph down.' where can i read the recipe from the second paragraph down. i would really like to because i would love to make gnocchi your way. thanks in advance. Hi, there's no recipe on this page?? Thanks that was great tip to put on microwave!